At King City Trailers, we have a huge selection of Truck Caps and Tonneaus covers in stock at all times. If your vehicle needs a truck cap or a tonneau cover, King City Trailers has got you covered! 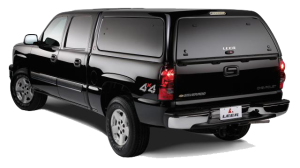 We carry a full selection of truck caps & tonneau covers from all of the major brands. Our experienced team can help you find the perfect solution for work or play. King City Trailers is one of the largest authorized LEER dealers with an established reputation throughout the GTA for service and experience. Our expert sales staff will help you make the right choice for your style with the features and functions that best fit you and your pick-up truck! 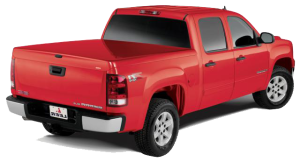 We also offer a large selection of Used Fiberglass and Aluminum Truck Caps & Tonneau Covers for all makes and models of trucks. We invite you to come by, meet our friendly staff, and browse the caps we have on display in our showroom. To see the full line of LEER Truck Caps and Tonneau Covers available, click on the links below for a full description.